Once completed, the 280 MW Solana facility in Arizona will be the world’s largest concentrating solar power (CSP) plant. Abengoa will develop the solar project near Gila Bend. The plant will use parabolic trough technology and thermal storage using molten salts. 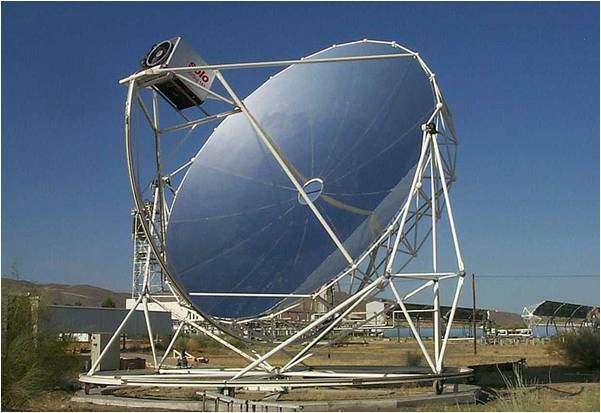 Solana, meaning “a sunny place” in Spanish, will also use solar trackers with high precision parabolic mirrors that follow the sun’s path and concentrate its energy, heating a fluid to more than 700 degrees Fahrenheit and using that heat to turn steam turbines. The solar plant will include a thermal energy storage system that allows for electricity to be produced as required, even after the sun has set. Siemens Industry will provide 18 of its Robicon Perfect Harmony medium voltage drives to the project, including ten, 4,000 hp GenIIIe drives, two, 2,000 hp GenIIIe drives and six, 800 hp GenIV drives. “Siemens Drive Technologies division partners with customers like Abengoa to supply some of the most integrated drive train components in the U.S. Our motors, variable frequency drives and gearboxes provide tens of millions of dollars in energy savings annually, and deliver a strong return on investment by helping to boost net operating income. We are proud that Abengoa selected Siemens to be its partner for the Solana project, and look forward to the success of the solar plant,” says Doug Keith, president, Drive Technologies Division, Siemens Industry, Inc.
Siemens Robicon Perfect Harmony Drives, manufactured in New Kensington, Pa., are well suited to the power generation industry because they can ride through voltage dips, have a small footprint and requires no output transformer, harmonic line filters or power factor compensation. These variable frequency drives (VFD) are unique, as each uses a series of low-voltage cells linked together and scaled precisely for a wide range of voltage and output power. The cell bypass ensures automatic bypass of a failed power cell in less than 500 milliseconds and instead of shutting down the entire drive, a process-tolerant protection system (ProToPS) provides a hierarchical system of warnings. This control strategy allows time to evaluate the situation and respond appropriately. This concept also enables easy access to drive components for scheduled maintenance. Abengoa has a 30-year agreement with Arizona Public Service (APS), the largest electric utility in Arizona, to build and operate the plant. Abengoa Solar recently announced that the Department of Energy has offered a conditional commitment for a $1.45 billion loan guarantee that will support the construction and start-up of Solana. This is Abengoa’s first domestic CSP project in the United States, and its 14th worldwide. Approximately 70 miles southwest of Phoenix, Solana will have the capacity to supply clean power to 70,000 homes and will eliminate around 475,000 tons of Co2 compared to a natural gas burning power plant.